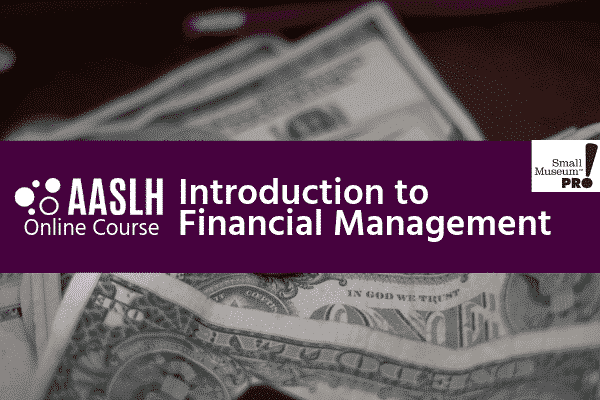 Designed for staff and volunteers of all abilities and organizations of all sizes, this four-week course provides an accessible, clear, and even fun introduction to financial concepts. From understanding expenses and income to how to establish an endowment, this course will equip you with a toolkit to engage with finance on your terms and to your ability. Over the four weeks, students will participate in dynamic discussions, review relevant and timely case studies and readings, and ultimately build a real, usable budget tailored to their organization’s needs. Texts are NOT INCLUDED with your registration. You must order the book separately from the book seller of your choice. MATERIALS: One recommended text; students should bring real-life financial information to the course to be used in course assignments to create a budget. Note: all institutional financial information will be kept confidential and shared only with the instructor. CREDIT:Successful completion of this course (80% or higher) will earn one credit toward the Small Museum Pro! certificate from AASLH. Rebekah Beaulieu, Ph.D. is the Director of the Florence Griswold Museum, an art museum, National Landmark historic house, and 13-acres of gardens and grounds in Old Lyme, Connecticut. She serves on the faculty of AASLH’s History Leadership Institute, and is a member of the Association’s Finance Committee. Becky is also a board member of the New England Museum Association and Connecticut Humanities, and was recently appointed an AAM Accreditation Commissioner. Becky is the author of Financial Fundamentals for Historic House Museums (Rowman & Littlefield, 2017). She holds an M.A in Art History and Museum Studies from the University of Wisconsin-Milwaukee, and in Arts Administration from Columbia University; she earned her Ph.D. in American and New England Studies at Boston University.